The Uniform CPA Exam is a standardized test administered to almost all CPA candidates to determine basic skills and aptitude. The exam is administered by the National Association of States Boards of Accountancy (NASBA) through the CPA Examination Services (CPAES). Complete the initial application packet from the WVBOA. The packet is available for download online. Applicants may also call the office at (304) 558-3557 with questions and requests. Allow the WVBOA some time to review your application and approve your request. You should receive a Notification to Schedule (NTS) from the NASBA within five days of submitting your application. If you do not receive notification within this window, contact the state's exam coordinator at 304-558-3557. Schedule the time and location you want to take the Uniform CPA Exam. There are testing sites in Charleston and Morgantown. There are testing windows offered in the first two months of each quarter. You are allowed to take as few or any many test sections as you would like during any test session, but you must complete all four within 18 months. Make special accommodations if necessary. They are available if you can demonstrate a disability or another obstacle that could inhibit test taking. There is a special section on the exam application to make this request. It's also possible to contact the state's exam coordinator directly. Prepare for the exam and arrive at the testing facility at least an hour before the exam begins. Expect the NASBA to issue your score to the WVBOA, which will then issue it to you in the mail. If you passed the exam your name will also appear on a list posted on the WVBOA website. Work for one year in an accounting position. This experience must occur within four years of applying for a CPA license. It can take place in a government office, private accounting practice, non-profit organization, academia, or public accounting firm. Track the experience under the supervision of a licensed CPA. Their CPA license must be granted by West Virginia or by any other state with the exception of Colorado, Puerto Rico, or the Virgin Islands. Complete the Experience Verification Form. The form is available for download from the WVBOA. Ask the supervising CPA to complete his or her section of the form. That person must state the dates when you worked and list the kinds of responsibilities you performed. Finally, they must sign the document in the presence of a notary. If you have a CPA license from another state it's possible to expedite the licensure process in West Virginia. 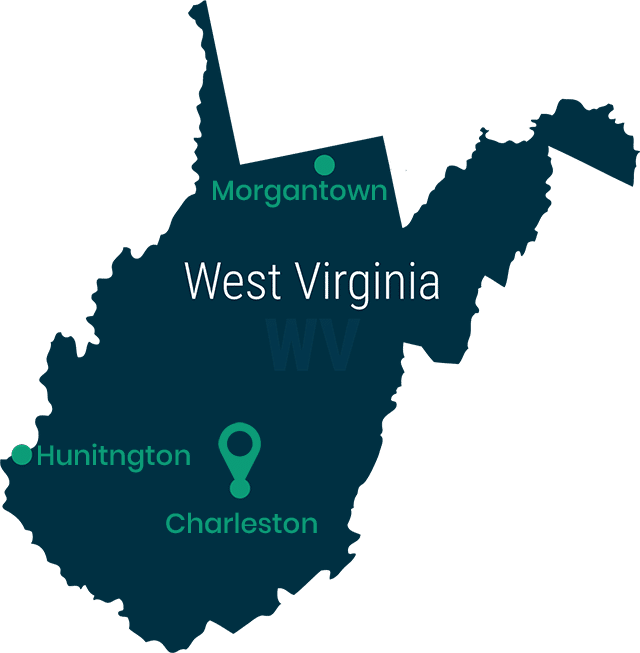 File an Application for Reciprocal License with the WVBOA. Also include a 2" x 2" photo, official college transcripts, and any applicable fees. It may also be necessary to file and Experience Verification Form. Call the board office at (304) 558-3557 to check. Candidates must pass the NASBA’s International Qualification Examination (IQEX) to demonstrate they have equivalent CPA skills. After passing they are able to apply for licensure in West Virginia. Applicants from non-approved jurisdictions must have their education evaluated by the NASBA International Evaluation Services and also pass the Uniform CPA Exam. All CPAs are required to complete 40 hours of CPE every year. The only exemption is CPAs in their first year of licensure. They are not required to complete any CPE. You cannot claim hours for any activity in which you provided a service, accounting or otherwise, to clients. You cannot claim hours spent giving presentations to groups of non-accounting professionals. Time spent writing informal reviews of professional journals or other accounting publications does not count. All CPE hours claimed must meet the standards set out in the Statement on Standards for Continuing Professional Education (CPE) Programs issued jointly by AICPA and NASBA. Self-study courses count as long as you receive a certificate of completion. Published articles and books count as long as you are listed as a writer and have a statement from the publisher. CPE hours are reported to the WVBOA using an online reporting tool. You are required to supply the name of the program, the dates of attendance, completion certificates, and any supplemental documents. CPAs must maintain their own records of CPE hours for at least 4 years in case of audit.